One of the most anticipated games of the last decade is finally here. After originally being available in an open beta, Bethesda Softworks and ID Software released the full version of DOOM, the reboot of the seminal shooter from the ’90s. This the first major title in the franchise in 12 years, as the classic DOOM 3 was released in 2004. DOOM is available for Windows, Xbox One and PlayStation 4, along with Steam, the Xbox Store, and the PlayStation Store. The game features stunning visuals which, combined with the already familiar gameplay elements, manage to deliver an amazing DOOM experience. “At its core, DOOM is about powerful guns, crazy demons, and fast, relentless gameplay. 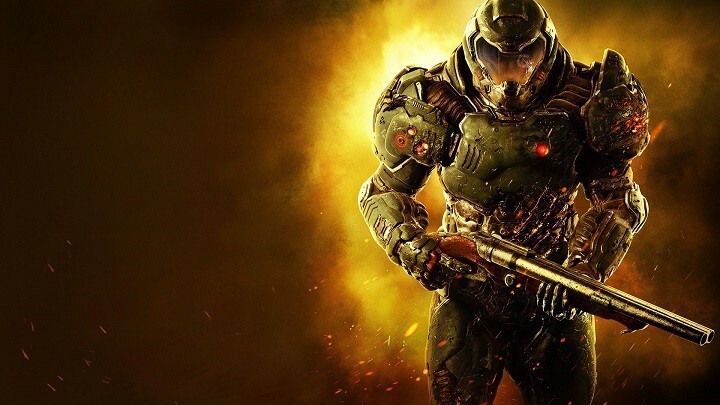 We believe that fans of the original and new players to the franchise will enjoy all that DOOM has to offer and we can’t wait for everyone to finally get their hands on it,” said id Software. This year’s DOOM, or, as fans say, “DOOM 4,” is already a legendary title for good reason: most didn’t expect it to ever be released. As they say: anything can happen, and that anything did. After 12 years of waiting, a few delays, and a lot of good work done by ID Software and Bethesda, of course. Now, the DOOM reboot is finally out, ready to reorient the shooter genre to a bit gorier of a standard exactly as the previous titles have. The standard edition of DOOM goes for $60, with a collector’s edition available to tempt your wallet at $120. Check out the impressive trailer of the game here. If you’ve already experienced the new DOOM game, let us know about your impressions in the comments!